Today, people think that Spirituality has no relation to mundane life and vice versa. This is a big mistake. True Divinity is a combination of Spirituality and social obligations. National unity and social harmony are founded upon Spirituality. It is the Divine that links Spirituality and social existence. The Creator and Prakriti are inextricably associated with each other. Hence, God should not be regarded as separate from Creation. See God in the Cosmos. If we have to see God in the Cosmos, then we must actively cultivate what Swami refers to as Vishaala Bhavam or broadmindedness. This Sunday, we want to touch upon the topic of Divinity, social obligations and mundane life, because they too are connected with Vishaala Bhavam. We shall try to explain the linkage by first bringing to your notice a heart-warming story of a young man born into poverty, his struggle to come up, and how when he finally turned the corner, he began to serve Society even though there was a lot to be done at home. The young man in question is Sarat Babu, born in a slum in Madras/Chennai into a family of five children, who were solely dependent on their mother, the sole breadwinner. Sarat Babu has two sisters elder to him and two brothers younger to him. His mother, who had studied up to the tenth standard, was able to get a small job in a Government school connected with the Government Mid-day Meal Scheme. Her salary was thirty rupees a month – believe it or not that is less than a dollar for an entire month! And she had to support all her children and herself on that! So she had to earn extra money and that she did by making idlis at home and selling them. Even that was not enough and so in the evenings she participated in an adult-education programme that fetched a little bit more; thus three different jobs, and still the earning was far from sufficient – that is what poverty is all about. Sarat Babu felt deep anguish to see his mother struggle so hard and firmly resolved to do all he could to come up in life and lift his family out of dire poverty. He studied hard, got good grades and worked his way up to the tenth standard. There were two more years of school but for studying in those classes, he had to pay a special fee of two thousand rupees. Imagine that! His mother was making just thirty rupees a month in her main job and had to take on two more jobs to feed her five children. Where was this young boy going to produce two thousand rupees from? Hard work always pays, and Sarat Babu was not only able to complete school but come out as a topper. He now began to set his sight higher. A classmate told him about an Engineering University named Birla Institute of Technology and Science in Pilani in the State of Rajasthan in North India. BITS is a well-known institute and entry is tough even as the fees are high. Thanks to his high marks, Sarat Babu managed to get into BITS but fees? The tuition fee alone was Rs. 28,000/- per year; added to that was the hostel and other fees. In all it came to Rs. 40,000 /- an astronomical sum really, for a boy, whose mother’s main income came through the sale of idlis. But nothing would stop Sarat Babu. He applied for a Government scholarship, which he secured, and that helped some. However, it was not enough. His sister pitched in by pawning some of her jewels [in India , even poor families manage to invest in jewels; it is a kind of bank!]. Sarat Babu felt very bad about it but he needed money; and since what his sister gave was not enough, he borrowed heavily at a high rate of interest. Money was one part of the problem; living and studying amidst fellow students who were all from either rich or well-off middle class families was another. To make matters worse, Sarat Babu was not good in English when he entered the University. But Sarat Babu kept on, propelled by his unquenchable determination. His subject was Chemical Engineering but in his spare time, Babu worked as a welder and metal cutter. This fetched some money and in fact he was even able to pay some of his debt and redeem the pawned jewels of his sister. Engineering work was tough but it had its rewards. Firstly, people began to respect him for his hard work. Next, he began to get experience in teamwork and leadership as well. After four years, Babu was an Engineering graduate, and his mother was dreaming that her problems would soon be over. However, friends who admired his management and entrepreneurial talents said, “Listen, you should do MBA. That is what you are destined for. And you must do it in one of the best Management Institutes in the country.” Babu too felt that was his calling and not a mere job. Getting into a brand Management Institute is not easy. It requires hard work, intense study and concentrated preparation. At the same time, there were urgent family obligations. So Sarat Babu took a job in a software company, earned some money, paid off some debts and at the same time prepared as best as he could for the national competitive exam that selects candidates for the six prestigious Management Schools in the country. Babu’s mother was not too happy about what her son was doing; she wanted him to quickly earn as much money as possible, and improve the family’s finances. However, Babu’s mind was made up. He did not clear the entrance exam in his first two tries but he persisted. Third time he was successful and he studied Business Administration in the country’s top Management School in Ahmedabad. In Business School, Babu served as the Mess Secretary and this not only gave him managerial experience but also taught him how to feed a large number of people. Even before he graduated, Babu received many attractive employment offers – one employer even offered Rs. 800,000 as annual salary – but he rejected them all. He was set on becoming an entrepreneur; his mother was not happy but she had to yield. Recalling that his mother made idlis and sold them to educate him, Sarat Babu decided he too would run a kitchen that prepared food and distributed to clients. He started on a very small scale but hard work paid off. Today he is rapidly expanding his business and soon expects to have a chain all over the country. He even hopes to have franchises overseas. Why this obsession to be an entrepreneur? Babu says that comes from the fact an entrepreneur creates jobs for others and thus serves Society. He has always admired big industrialists and in the next five years, he wants to create 15,000 jobs! One cannot help recalling the glorious example set decades back by our beloved Sathya Sai Baba. When He was young, Sathya Narayana Raju as He was known as a boy was super brilliant in school. The entire family pinned its hope on Him; no surprise in that because the Raju family was very poor. And Sathya sure could have got a good Government job , and climbed to the very top; no question about that. But what did young Raju do? At the age of fourteen, He quit school and started serving Society. Just look around Puttaparthi today. 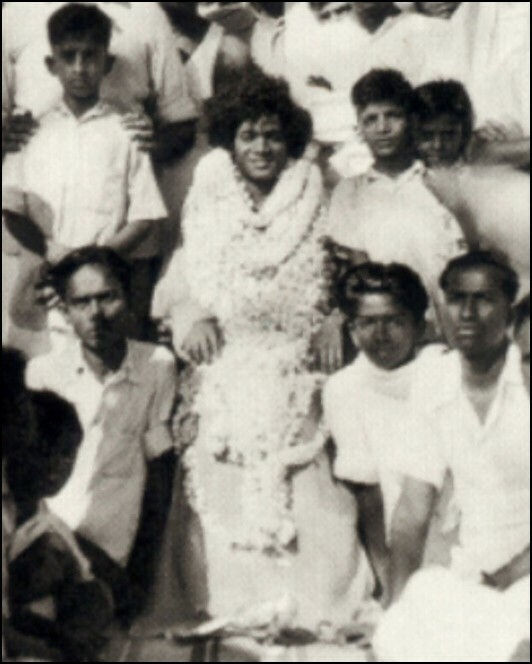 Sathya Sai Baba did not personally turn into an entrepreneur, but there cannot be any question that He is literally a “one-man industry,” as a professor in our Institute once described Him. Not only is Bhagavan making the entire economy of Puttaparthi tick but, thanks to Him, airlines are getting tens of thousands of passengers every year, tour operators round the world are getting business, taxi drivers are getting business, hotels in Bangalore and Bombay are getting business and so on! So Satya SaiBaba is literally a very efficient engine of economy and He has become one simply by investing Love and the Spirit of Service! And don’t forget the massive projects He has done, all of which have brought employment to so many in so many places. So you see, creating jobs need not be regarded merely as an economic activity. It might appear a “mundane” and worldly activity but as Swami points out if the intentions are noble, even the mundane can be raised to the level of the Divine. That is how Work is elevated to Worship. The Gita, it is said, is essentially three Yogas telescoped into each other, the Karma Yoga, the Bhakti Yoga and the Jnana Yoga. What Swami is telling us is: “Start with ordinary Karma . Do it with sincerity and without any selfishness. Then good work becomes God’s work. That is the essence of Bhakti. And in due course, Bhakti would help you to become one with God and experience Ananda, and that is the end point of Jnana.” In other words, discharging social obligations is a path to God, and one recommended by Sathya Sai Baba. That makes sense, does it not? And it is not very difficult to understand either. 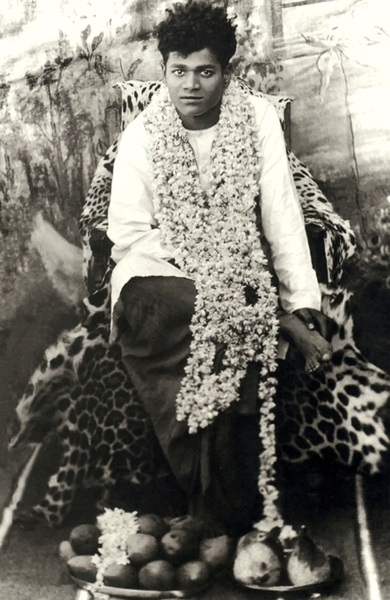 Sarat Babu and many others like him may not have heard of Bhagavan Baba or read the Gita, but they intuitively know what it contains, and that is all that matters. This young man remembers his humble origin and now simply wants to help others. Isn’t that what Sathya SaiBaba tells us: HELP EVER? Once again, every message of Swami that comes via Sai Inspires is very deep, if only we think about it for a few minutes. This Sunday, we thought we would put together many of the things Swami has said at various times about Avatars in general and about the Sri Sathya Sai Avatar also. To elevate man to the level of Consciousness, God has to incarnate as man. He has to speak to them in their own styles and languages. He has to teach them the methods that they can adopt and practice. Birds and beasts need no Divine incarnation to guide them for they have no inclination to stray away from Dharma. Man alone ignores the goal of life. The word Avatar means descent. It is not coming down from the peak of a mountain or the top story of a building. It is a descent from the state of the Atma to the state of the body. The descent of the Avatar means the Divine coming down to the level of the human. No blemish attaches to the Divine as a result of the descent. There is no diminution in His puissance. Here is the example of a child playing on the ground. If the mother feels it is beneath her dignity to bend and calls upon the child to leap in her arms, the child cannot do so. But out of love for her child, the mother stoops to pick up the baby. Likewise, the Avatar descends to the level of the human to bless and rescue those who cannot rise to the level of the Divine. It is an act of benediction. The attributes and the powers of the Divine remain unaltered in their pristine amplitude. The Divine manifests His powers according to the needs, the circumstances and the conditions prevailing at a particular time or place. Take, for example, the case of the Chief Justice of the Supreme Court. He has the power to protect and to punish. These powers can be exercised when he sits in the judicial chair. The same Chief Justice, when he is at home, confers joy on his grandson by letting him ride on his back. By allowing the grandchild to play in this manner, does he forfeit his powers as a Chief Justice? Similarly, the Avatar does not forego any of His supreme powers merely because He lives and moves among human beings as a man. An Avatar is capable of all things at all times. Yet the Avatar will not undertake to demonstrate His powers at all times. An Avatar will undertake to such powers when exceptional circumstances demand it and will shed His Grace on deserving persons only. Because the Lord takes the human form, we find that He exhibits human consciousness along with Divine Consciousness. Ordinary people cannot grasp the Divine aspects of an Avatar. God appears to be an ordinary human being to the limited intelligence of lay people because of the co-existence of the Divine and human consciousness in the Avatar. Human comprehension is restricted by the limits of human consciousness. But the sages who were divine human beings were able to comprehend Divinity. They recognised the Formless God in the visible form, because they had imbued themselves with Divine Consciousness. Thus, according to their levels, different people regard the Avatar as a mere human being or Cosmic Reality. Avatars never come to re-establish Dharma. Dharma was never destroyed but the practice of Dharma periodically goes into decline. It is to rekindle the practice of Dharma that God appears on earth as man. In this Kali Age, the wicked have to be reformed and reconstructed through Love and Compassion. That is why this Avatar has come unarmed. It has come with the Message of Love. Where gold is found, there gather the geologists, engineers and miners. The gold is mined there and then it is taken all over the world. Satya Sai Baba constantly emphasises the human aspect of the Avatar, as the following quotes illustrate. 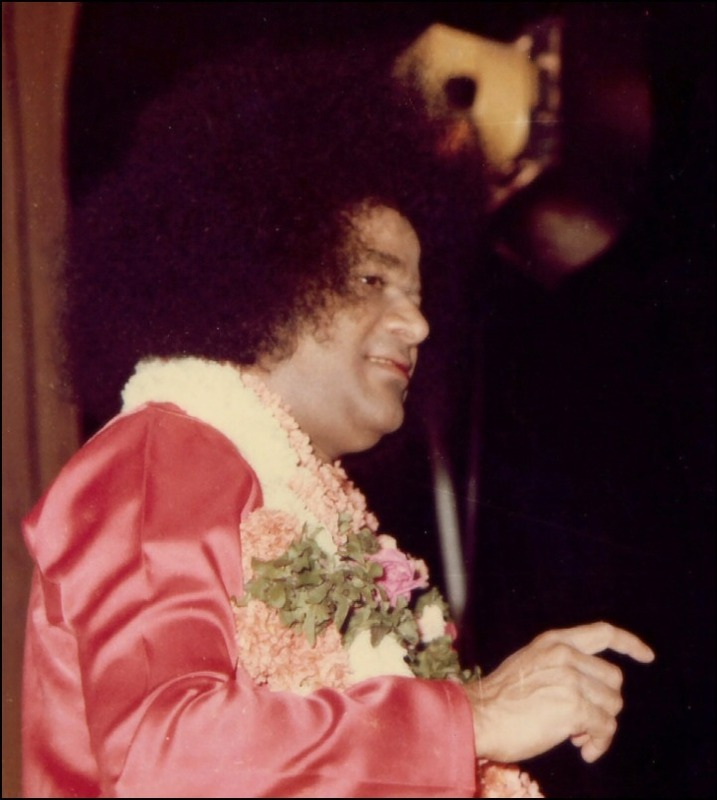 In this context, we strongly urge devotees to read carefully the book Summer Roses on the Blue Mountain, which contain the discourses Swami delivered during the Summer Course conducted in 1976. The essential quality of an Avatar is to teach you to make good and proper use of your thought, word and deed. Depending on the conditions in the country and the environment, the Avatar comes to teach you and show you the right use of all your organs. This is the reason why Krishna came in human form, created a bodily relationship with Arjuna and others, and pretended as if He was the brother-in-law of Arjuna…. Krishna wanted to deal with Arjuna in a manner in which a human being will deal with another human being. If we regard Krishna as God, we will never be able to understand the inner significance of the Mahabharatha. It is only when we pay attention to the human aspect of Krishna and look at the whole story from the angle of Krishna in the human form, that we will be able to understand His greatness. Every Avatar has His detractors and this Avatar is no exception; in fact, this is a part of the Divine Drama! What does Swami have to say about that? Just read this. In an Avatar, there will never be a situation in which you can find fault with Him. The individual who accuses an Avatar will be hurting himself in his eyes with his own fingers. The best that a guidepost can do is to tell you that if you travel that way, you will reach such and such a destination and if you travel another path, you will reach another destination. But the actual ups and downs along a particular path will be understood only by people who undertake the journey. 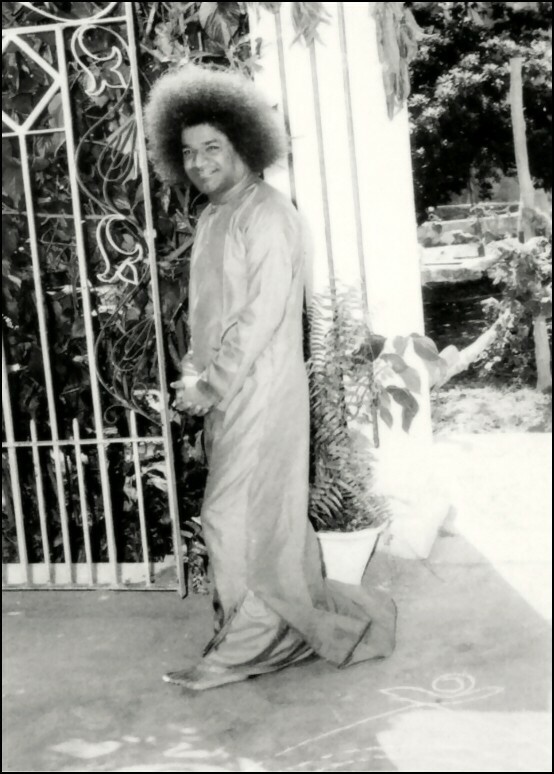 Decade after decade, Sathya Sai Baba has been tirelessly teaching us, but most of us seem more preoccupied with wanting to see miracles or getting fixes for our own particular problems. And when sometimes there is disappointment , then doubts also set in. All this is because of a lack of understanding of the nature of the Avatar and the purpose of incarnation. With regard to Sai, some people draw conclusions based only on external appearances. They are not making any effort to recognise the basic truth, the unchanging qualities such as Sathya, Dharma and Prema that are in Sai. All powers are in the control of Sai…. There is no limitation to My power. Infinite powers and infinite Grace are present in My hands. To state these things with regard to Myself becomes necessary at times. Because I am like an ordinary individual when I am talking with you and playing with you, many people do not understand My true nature. Even people with great strength of mind cannot recognise the difference between the external appearance and the internal aspect. Sai knows everything. That people are in doubt is due to the Maya of the Avatar. Since you see Me in close proximity, you are not able to assess Me properly. Familiarity has deceived you to the point of delusion. Swami’s Form is BIG, VAST, ………. INFINITE! During the lifetime of Shirdi Baba, not much attention was paid to Him. Recognition of Him as an Avatar, and interest in His life developed only after His “death”. This Sai Avatar is the only such where His Divinity is known to people of all religions. Never has there been that before. 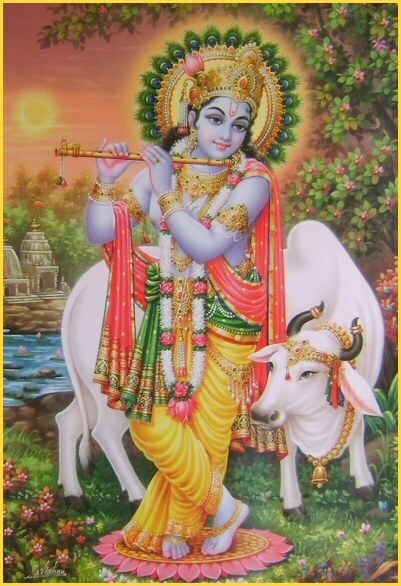 With Krishna, only the Gopis were aware of Him as God; but they were Rishis reborn. This Avatar is obviously different, with people being aware of His Divinity in real time, all across the globe, as Sathya Sai Baba pointed out to Dr. Hislop. Is Swami partial? He may appear so to some but He really is not. The name Sai Baba means Divine Mother and Father. Like mother, I will be tender and soft and like father I will punish you. If an individual who has good qualities comes close to Me, I am sweet to him. On the other hand, I am harsh to one who has bad qualities and I do not let him come close to Me. It is not that I like one more than the other but I give medicine to cure bad qualities when they are present. So what do we do when the Avatar is around? Any work for us? Sure! Once again, an Avatar is an Avatar – God in human form. No merit in trying to argue which one is “better”. Rama, Krishna and Sai Baba appear different because of the dress each has donned, but it is the self same Entity, believe Me! 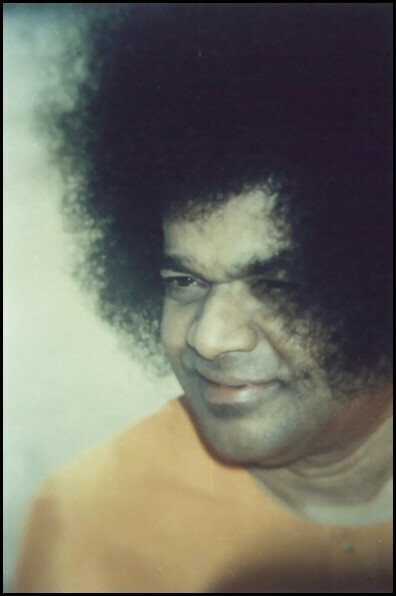 If there is one word that describes Sathya Sai Baba fully, that is LOVE!